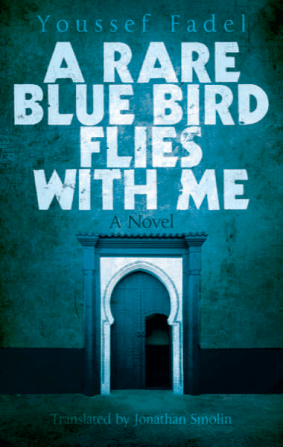 In his recently published article, Niarchos takes a look at Fadel’s Moroccan trilogy, A Beautiful White Cat Walks with Me, (Hoopoe, 2016) A Rare Blue Bird Flies with Me (Hoopoe, 2016), and A Shimmering Red Fish Swims with Me (forthcoming). The scene is typical Fadel, full of darkness and longing, and driven by a character moving through a penumbral, uncomprehending world. Zina hardly knew Aziz before they were married, and he was arrested on their wedding night; he has been locked away in a secret prison. Aziz, we learn, is a pilot who has been accused of helping to plot a coup against Morocco’s King, Hassan II. He languishes in an ancient casbah that has been transformed into a dank jail. The setting recalls an actual casbah, in the Atlas Mountains, where political dissidents were held during the nineteen-seventies and eighties. Fadel’s novels remind us how the evil of state repression and the humdrum lives of people on a bus are linked—even rely on each other to exist. Read the complete New Yorker article.